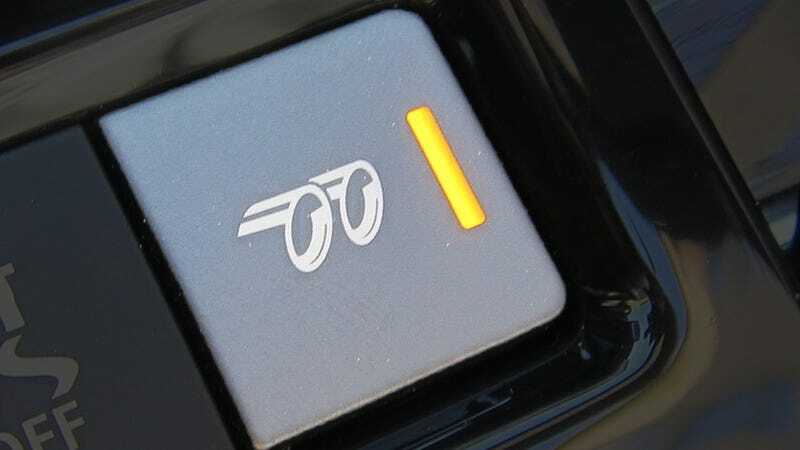 Look into any modern sporty car and you will find two buttons among all the rest: a little button to make the exhaust louder and a little button to put the car in a general sport mode. These buttons get one thing critically wrong: they are backwards. Again, sporty cars often come with a LOUD exhaust mode that amps up a normally kinda-quiet exhaust. Usually this involves opening up a valve in the exhaust to let out more noise. I guess it could also involve turning up the volume on piped-through-the-speakers fake exhaust noise, BMW-style. Instead, they should come with a QUIET exhaust mode that tones down a normally kinda-loud exhaust. This would have the same effect as the loud mode, only closing that valve that would instead be normally open, or turning down the volume on already-loudly-piped-through-the-speakers fake exhaust noise. The easy part of this is you would not even need to change anything about the volume settings of the car; you would only be switching around what’s the default. This default is critical. In effect, it changes the psychological attitude of the car. Making a quiet car artificially loud? Lame. Making a loud car artificially quiet? Stealth. That’s a revolutionary change in how you think about and feel about a car. The same can be extrapolated for sport modes in sporty cars in general. Often you are driving a stiff and sporty car on a bumpy road, wishing you could make it a little bit more complaint. But if you’re driving a normally compliant car, it feels weird to make it ooch ouch stiff. Again, there needs be no change in the actual settings of the car, only in what’s the default. It is strange to get into a sporty car and have to immediately press two buttons every time you start up: these loud exhaust buttons and these sport mode buttons. It is odd to have to tell your sporty car to act sporty. Sport mode be its modus operandi. Turn your buttons around, carmakers, and set the sporty car world right.